What does 232 signify in the RS232 standard? "RS" in communication standards RS232 and RS485 stands for "Recommended Standard". But what information does "232" or "422" or "485" convey in the name? What naming convention is used for numbers succeeding the letters "RS" when naming the RS standards? The numbers themselves have no meaning. 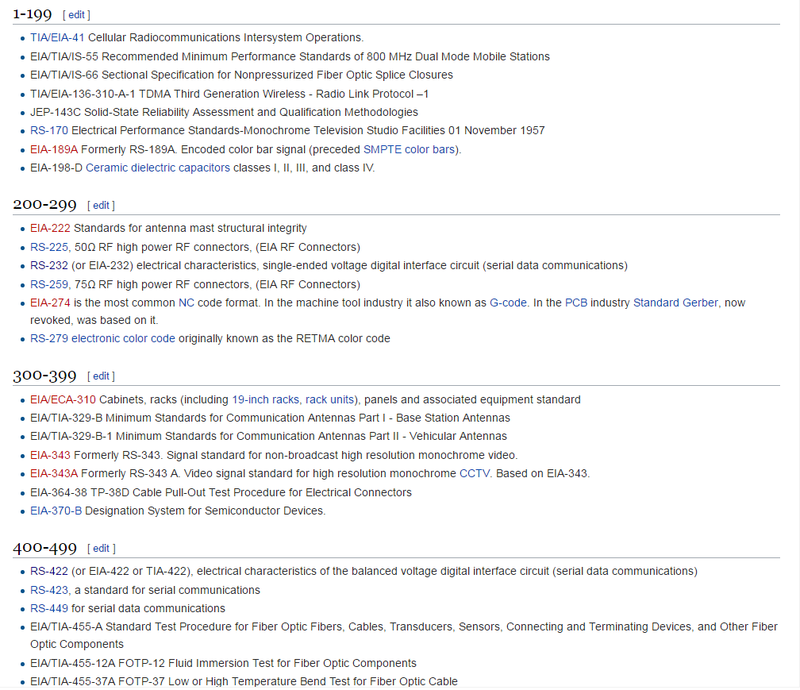 For example while EIA232 specifies the electrical characteristics of a digital serial communications system, EIA222 specifies standards for antenna masts and RS225 is a standard for RF connectors. Not the answer you're looking for? Browse other questions tagged rs232 rs485 rs422 or ask your own question. Is there a standard describing the UART data frame protocol?